A Russian fighter plane has ‘greeted’ a US Navy P-3 Orion reconnaissance aircraft, flying by within five feet (1.5m). The US Department of Defense said that a Russian fighter pilot forced the crew of the P-3 to abort its mission. The crew failed to finish their tasks over the Black Sea, just off the Russian borders. At times, it approached Sevastopol at a distance of 40 kilometers. The American reconnaissance aircraft departed from Souda Bay airbase on the Greek island of Crete. It spent hours along the southern and south-western coast of the Crimea over the international waters of the Black Sea. The flight path of the Russian Su-27 took place strictly in accordance with the international rules for the use of airspace, said the Ministry of Defense. 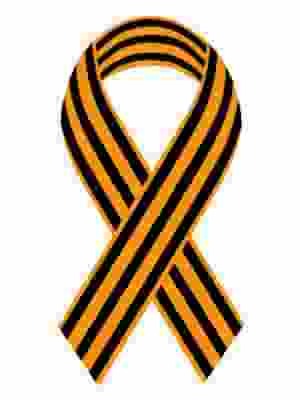 The Russian fighter jet accompanied the American scout, observing all the necessary security measures. “American pilots themselves are provoking the Russian military, flying close to the Russian border near the Black Sea,” said the first deputy head of the State Duma Defense Committee, Hero of Russia Andrei Krasov. Last week, Russian air defense fighters three times intercepted foreign aircraft and drones that were approaching the airspace of the country. In total, over the last seven days, reconnaissance aircraft have been spotted near the Russian border a total of ten times. On January 29, 2018, the U.S. Treasury Department released an unclassified list of “influential Russians” linked to the Kremlin. Dubbed the “Kremlin list,” the document was a legal requirement of a widened sanctions bill passed by Congress last year. At the Forum of the Presidential Candidate for 2018 (the upcoming elections will take place on 18 March, 2018) it was noted that the list appeared to have been put together haphazardly, using public resources including a list of Russian billionaires published by Forbes. Under the Countering America’s Adversaries Through Sanctions Act of 2017, a law billed as a U.S. response to Russian interference in the 2016 presidential election, the Treasury was asked to draw up a list of “oligarchs and parastatal entities” within 180 days. Russian deputy Konstantin Kosachev accused the Treasury of simply “rewriting the Kremlin phone book.” And certainly, some inclusions in the list are surprising: Anna Kuznetsova, the children’s Comissioner, as well as Mikhail Fedotov, head of the Kremlin human rights council. The NBAA Command Center reports the U.S. military will begin training exercises on the Nevada Test and Training Range between 0400Z until 0700Z daily [8 pm – 11 pm PST]. Training maneuvers will impact vast portions of the Western U.S. including California, Nevada, Oregon, Wyoming, Arizona, Utah, Colorado, Montana and New Mexico. FAA enroute ATC centers affected include Albuquerque (ZAB), Denver (ZDV), Los Angeles (ZLA), Salt Lake (ZLC), Oakland (ZOA) and Seattle (ZSE). Operations in R-2508 and R-2501 may also be impacted. U.S. commercial aircraft have new GPS dependent systems. How will this “exercise” impact air traffic? How will the jamming impact medical devices and implants? How will this jamming impact the power grid? How will this jamming affect wildlife including birds, bats, and insects? It is occurring simultaneously with the Olympics. Coincidence? The drill involves a variety of attack, fighter and bomber aircraft as well as participants from the U.S. Air Force, U.S. Navy, U.S. Army, and Marine Corps. Foreign participants include Royal Australian Air Force and the Royal Air Force. A video from the 2015 Red Flag drill is shown below. According to The Drive, the air war drill is the largest of its kind in the 42-year history, as the United States prepares for a possible conflict on the Korean Penisula. Further, the USAF is going to “blackout GPS over the sprawling Nevada Test and Training Range,” said the Drive, which will provide realistic war-like conditions to challenge aircrews. 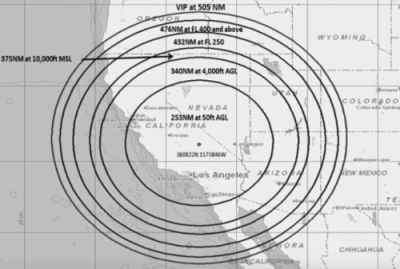 Flying.com reports the drills at the Nevada Test and Training Range will cause rolling GPS blackouts for the vast portions of the Western United States from January 26 through February 18. All GPS-equipped aircraft operating in the Western United States should be prepared for possible navigation failure in the region. The Drive explains why the USAF is determined to use GPS spoofing and jamming technology but offers no insight into what a GPS blackout might mean for the millions of civilians who live in the Western region of the US. The Pentagon has mysteriously tested technology that can jam GPS over a wide area before, and it is likely that this same capability will be put to use in the Nellis Test and Training Range for this Red Flag 18-1. Line-of-sight and distance impact the way in which GPS users, especially other airplanes, operating far outside the training area will be affected. Here is an article on those tests, which emanated from Naval Air Weapons Station China Lake, which is located on the western edge of the Mojave Desert in California, in June of 2016. If there is a concrete reason why the Department of Defense is quietly preparing a massive air war drill in Nevada now, while simultaneously forcing a gigantic GPS blackout for the Western part of the United States, it has not been disclosed aside from the obvious, of course. We know one thing: this exercise will last a lengthy three weeks and could pose significant risks and threats to devices that rely on GPS signals, which according to the DHS chart below, is pretty much anything with electronics in it these days.